Mickey Gauldin, retired, worked for Sumter Electric Cooperative, Inc. for almost 15 years and was most recently their Director of Customer Services. Prior to Sumter Electric, he worked for Florida Power Corporation. He holds a BS Degree in Electrical Engineering from the University of Alabama and is a Registered Professional Engineer in the State of Florida. Mrs. Beda has served in the healthcare field for over 30 years; 25 years at Central Florida Health (CFH); most recently as the Compliance Officer. The majority of her career has been in Clinical Information Technology and Telecommunications. She has State of Florida Registered Professional Nurse Licensure, a Bachelor of Science degree in Healthcare Administration and also Healthcare Compliance Certification and Healthcare Privacy Compliance certifications. She is a Member of the Florida Healthcare Corporate Compliance Association (FHCCA) and Health Care Compliance Association (HCCA). She has been a resident of Florida since 1984 and is a current resident of Tavares. Rev. 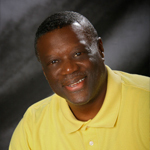 Dr. Isaac Deas, LMHC, is the Senior Pastor of New Bethel Community Church in Summerfield, retired Inter-Faith Chaplain at Cornerstone Hospice, and is the CEO/President of Deas Consulting. He is also President of Advocating 4 Kids, a not-for-profit agency which raises funds for homeless youth in Lake County. In addition, he serves on the Lake Sumter Community College Foundation Board, as well as, several additional boards in the area. Mr. Cobb is a retired Senior Law Enforcement Executive with over 45 years of diverse local, state, federal, and international criminal justice and law enforcement experience. He began his law enforcement career in 1968, during his last year in the U.S. Marine Corps, after serving a combat tour in Vietnam as an Aviation Ordinance Specialist. In 1971, Mr. Cobb returned to active duty in the United States Air Forces, where he served as a Special Agent with the Air Force Office of Special Investigations (AFOSI), retiring in 1988. Mr. Cobb is a retired AFOSI Special Agent-In-Charge, a retired Florida Chief of Police and Sheriff. During his criminal justice career, Mr. Cobb also worked as a Juvenile Justice Intake Counselor for the State of Florida and as a Pretrial Services Coordinator in the First Judicial Circuit of Florida. He holds a Masters of Public Administration Degree, a Bachelor of Science Degree in Criminal Justice, and an Associate Degree in Police Science. In addition to his formal education, Mr. Cobb has completed over 1500 hours of specialized criminal justice and law enforcement training. He is a graduate of the FBI’s Law Enforcement Executive Development Seminar and the Florida Department of Law Enforcement’s Chief Executive Seminar. Prior to his retirement in July 2015, he served as a member the Florida Police Chiefs Association’s Board of Directors and was a member of the Association’s Profession Standards Committee. He also served as the Secretary/Treasurer for the West Central Florida Police Chiefs Association. He is currently a member of the FBI’s Law Enforcement Executive Development Association, the International Association of Chiefs of Police, the Florida Chiefs of Police Association, and the Florida Sheriffs Association. 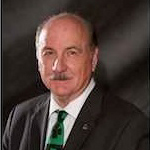 Mr. Cobb has been a member of the Lake Technical College’s Board of Directors since January 2010. 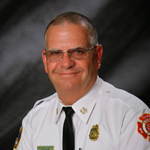 Chief Richard Keith has served as the Fire Chief for the City of Tavares since 2006. His prior service has included the Reedy Creek Improvement District, City of Leesburg, City of Minneola, South Lake Ambulance Service and Florida Regional EMS, the United States Air Force, and the United States Coast Guard Reserve. He is a graduate of the National Fire Academy – Executive Fire Officer Program and the State of Florida Certified Public Manager Program. He has an A.S. Degree in Fire Science from Valencia Community College and a B.S. Degree in Professional Management from Nova Southeastern University. Chief Keith graduated in 1983 from the Paramedic Program at Lake-Sumter Vocational-Technical Center (the old name for Lake Technical College), and continues to use his Paramedic license today. Chief Keith also serves at Lake Technical College as a member of our school’s Advisory Committee on Fire Training. Carl “C.A.” Vossberg, IV, President of Electron Machine Corp.
Mr. Carl “C.A.” Vossberg, IV, is President of Electron Machine Corporation, a family-owned business. He has served in the capacity of Electrician, Project Engineer, and in 2005, was named Vice-President/General Manager. 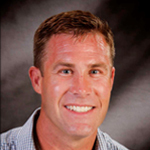 Mr. Vossberg is also managing partner of a wholesale tree nursery business and is a 2010 graduate of Leadership Lake County. 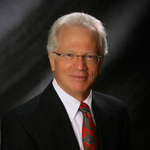 Mr. Vossberg has served as officer and member of many local community Boards and Committees, including President, Umatilla Chamber of Commerce Board of Directors and Member, Lake County Chamber Alliance. He holds an M.S. degree in Industrial Engineering from the University of Florida. He has been awarded the 2013 Governor’s Innovators in Business Award: Export Excellence in a Major Market and the FLATE 2018 Distinguished Partner Manufacturing Service Award. 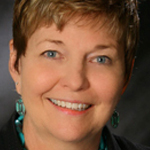 Diane Culpepper has been the Executive Director of Lake Technical College since 2010. 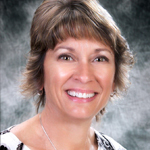 Prior to coming to Lake County, she served for 23 years in the Career and Technical Education Department for Orange County Schools at both the school and district levels. Diane earned her Bachelor’s degree in Business Administration and Marketing from the University of Central Florida, her Master’s Degree in Vocation Administration from UCF, and her PhD in Workforce Education from the University of South Florida. She loves the educational profession and has taught at all levels from elementary, middle, high school technical college, and university. Diane serves as an ex officio committee member for the Manufacturing Association of Central Florida (MACF), a Commissioner on the Council on Occupational Education, serves on a variety of state and national CTE committees, and is Vice-Chairperson of Church Council at Holy Cross church in Lake Mary, Florida. Diane has a son who is an attorney in Annapolis, MD and a daughter who is following in Mom’s footsteps and works at a technical college in Asheville, NC! She also has two grandkids who are 11 and 9 and are THE BEST!! Prior to working in the education field, Diane and her husband owned and operated a Harley Davidson motorcycle dealership in Altamonte Springs, Florida! The following schedule of meetings for the 2018-2019 school year has been set for the Lake Technical College Charter Board of Directors. The public is always welcome to attend. All meetings, unless otherwise noted, are held at 4:30 p.m. in the Lake Tech Board Room. To request to speak at a meeting or to have an item placed on the agenda, please contact the Executive Director’s office, (352) 589-2250 ext. 1815. To request to speak at a meeting or to request an item be added to the Board of Directors agenda, please contact Lana Payne at paynel@lake.k12.fl.us or 352.589.2250, x1810/1815. Click to view Lake Technical College’s Strategic Plan. Click to download Lake Technical College’s Book of Plans.